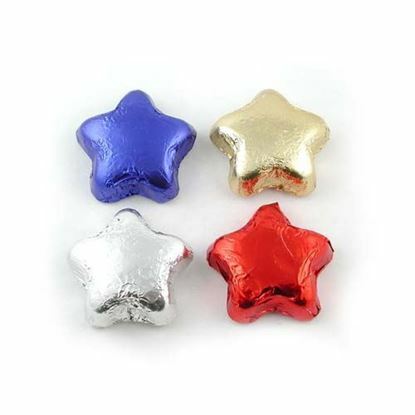 Dark Chocolate Stars. Chocolate Store, the online candy store with chocolate and candy. 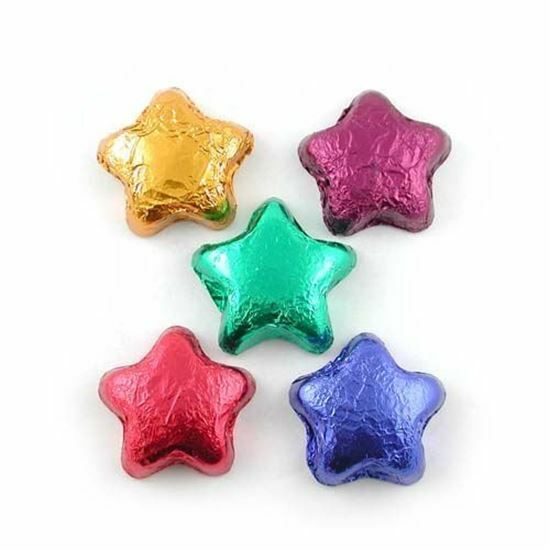 Dark Chocolate Stars - Bite sized, dark chocolate stars foiled in Yellow Gold, Light Green, Blue, Burgundy and Red. About 1-1/2 inches in diameter. Approximately 48 pieces to a pound.